Hewlett Packard Enterprise (HPE) has joined forces with Nutanix in a bid to take on Dell EMC and VMware in the highly competitive hybrid cloud market. Unveiled overnight, the global alliance is centred around the delivery of an integrated hybrid cloud as-a-service solution, with the channel expected to play a central role. Set to launch in the third quarter of 2019, the offering will leverage Nutanix’s Enterprise Cloud OS software including its built-in, free AHV hypervisor, delivered through HPE GreenLake to provide customers with a fully HPE-managed hybrid cloud. From a channel standpoint, Nutanix will also enable partners to directly sell HPE servers combined with Nutanix’s Enterprise Cloud OS software, allowing customers to purchase an "integrated appliance". 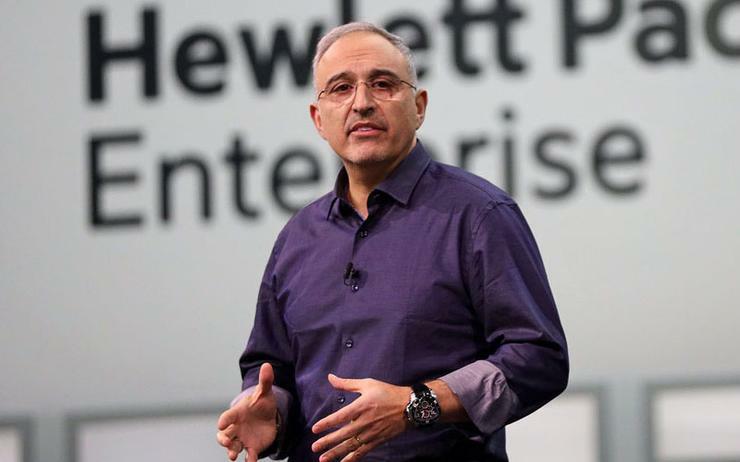 “HPE created the modern on-premises, as a service consumption market with HPE GreenLake,” said Antonio Neri, president and CEO of HPE. According to Neri, the partnership helps addresses customer challenges around cost, complexity and legacy, while providing a fully managed hybrid cloud infrastructure delivered as-a-service and deployed in customers’ data centres or co-location facility. “Today, HPE is expanding its leadership in this market by providing additional choice to customers seeking a hybrid cloud alternative that promises greater agility at lower costs,” Neri added. Furthermore, the combination of HPE GreenLake and Nutanix Enterprise Cloud OS software is best suited for customers who want to use Nutanix, including its AHV hypervisor technology, to support a range of use cases. Read more What are the hybrid cloud skills required for channel success? These include mission-critical workloads and big data applications; virtualised tier-1 workloads such as SAP, Oracle and Microsoft; as well as support for virtualised big data applications, such as Splunk and Hadoop. For Pandey, key partner and customer benefits centre around a reduction in cost of operations, an increase in productivity and a simplification of offering. “We are delighted to partner with HPE for the benefit of enterprises looking for the right hybrid cloud solution for their business,” Pandey added. Read more Deep in the data centre, how can partners profit? Pandey said that Nutanix customers will also be able to leverage a fully integrated solution, shipping directly from HPE factories.